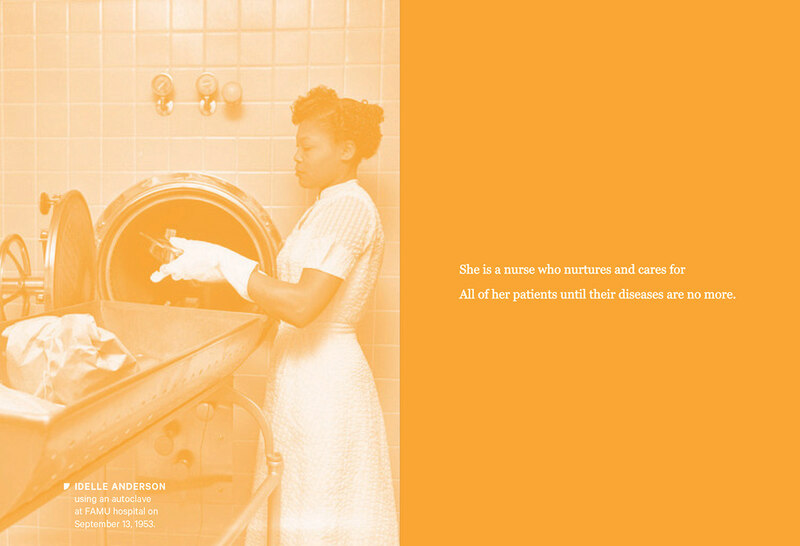 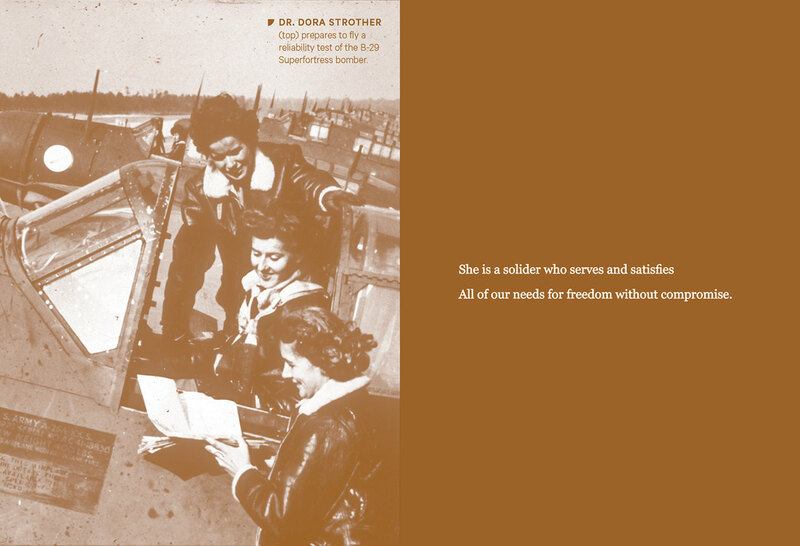 Section Cover to "Women in STEM"
Statistical Spreads within "Women in STEM"
Historical Duotone Insert within "Women in STEM"
Back Covers of "Women in STEM" & "Women in Business"
Historical Duotone Insert within "Women in Service"
Created by Sharon Mathew. 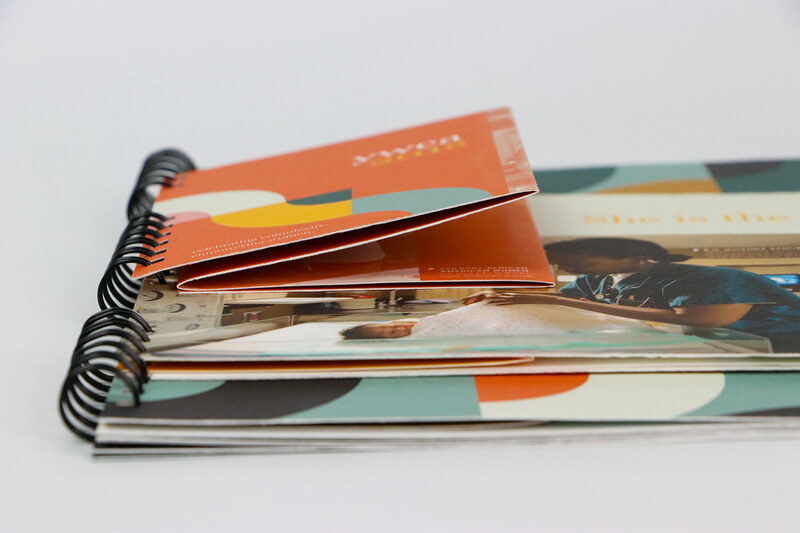 Fall 2018. 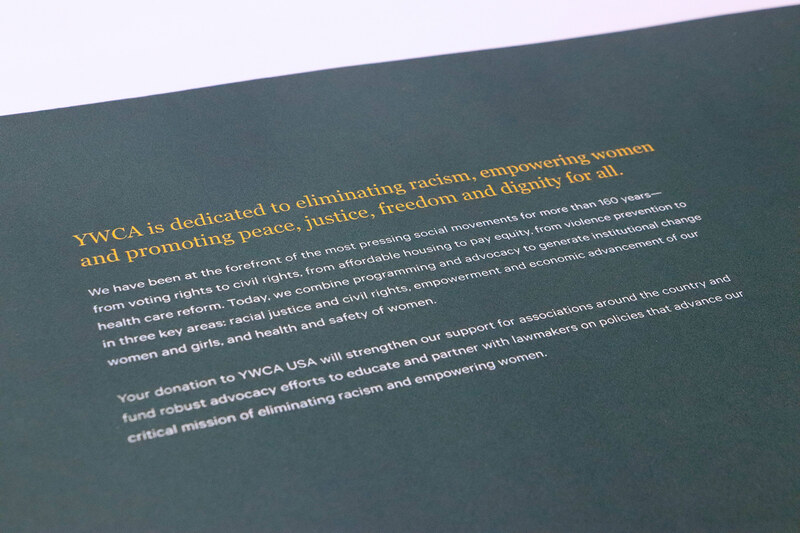 The YWCA USA is an organization with a mission to empower colored women. 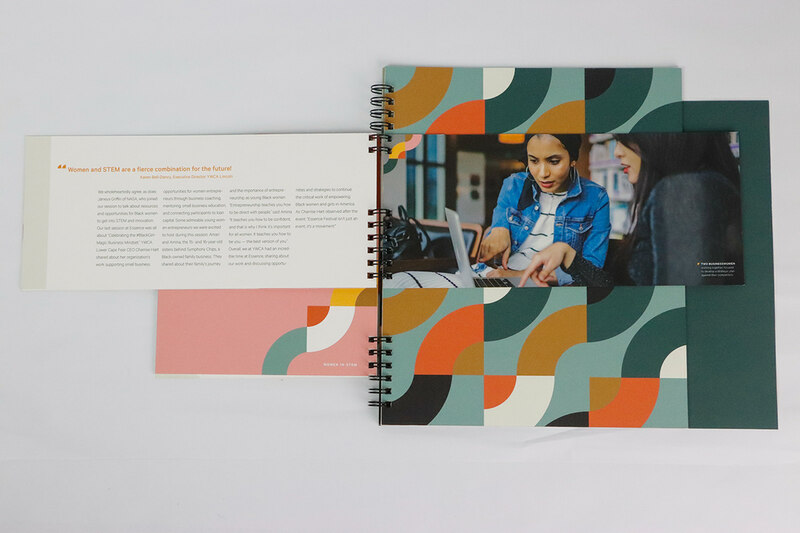 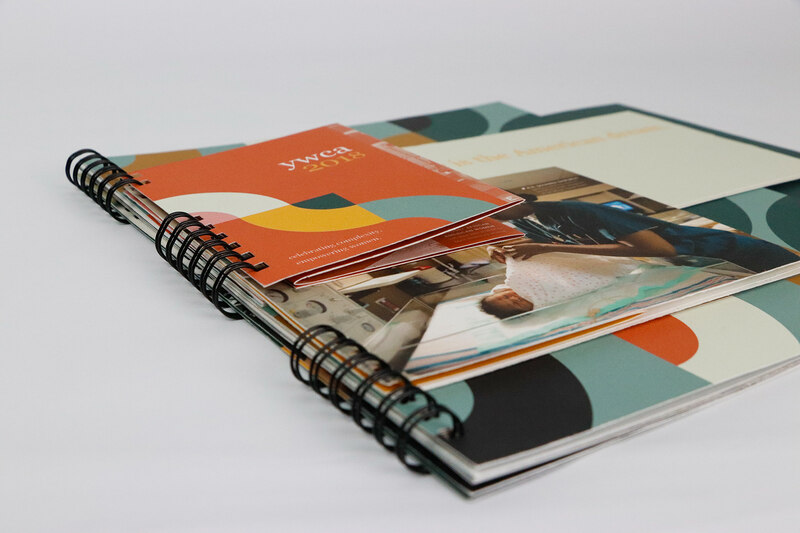 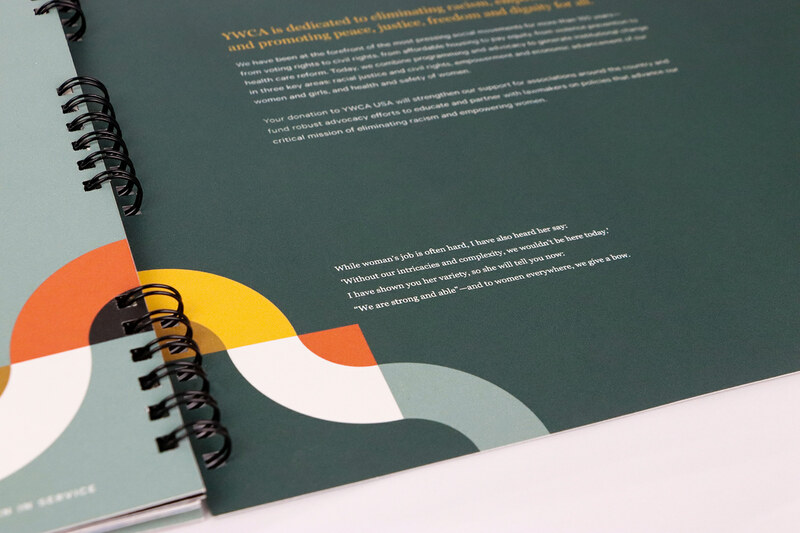 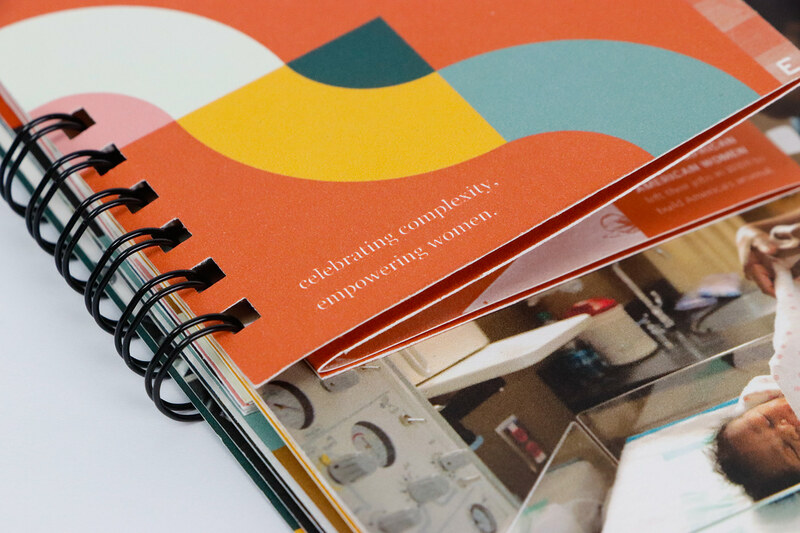 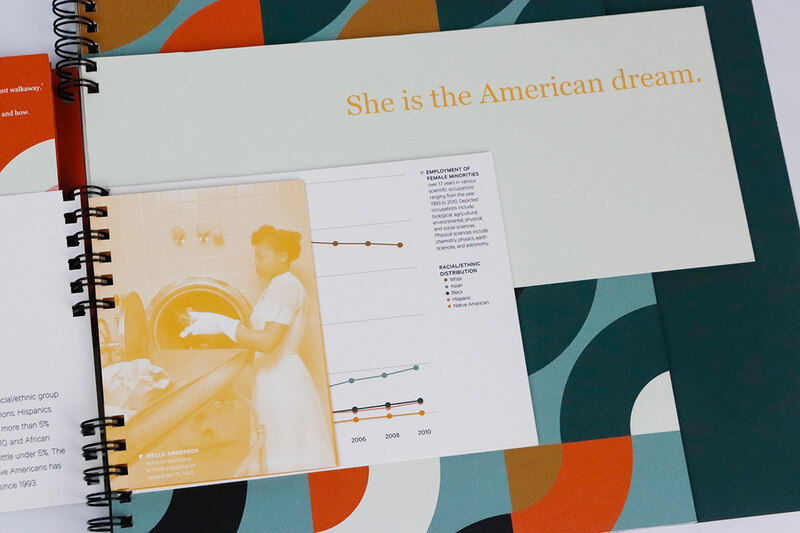 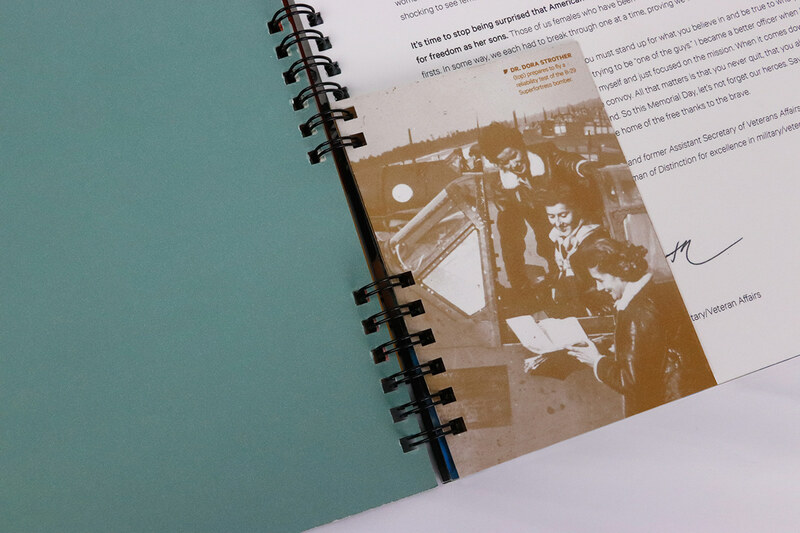 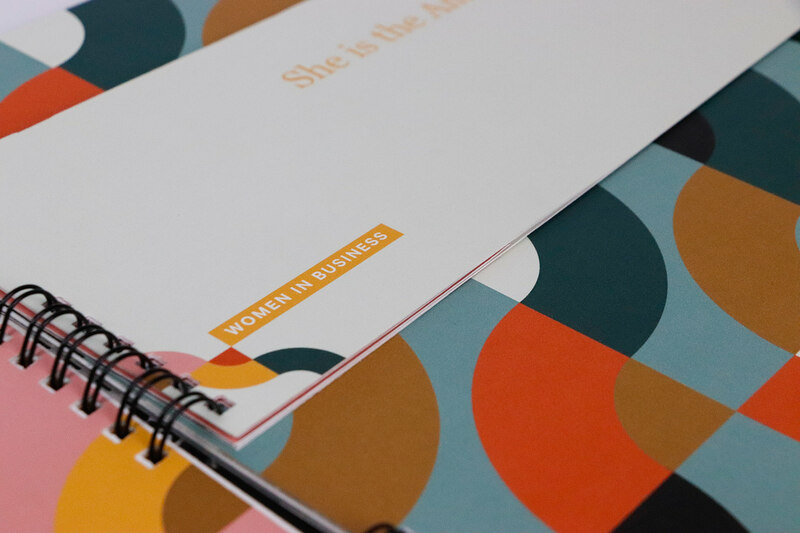 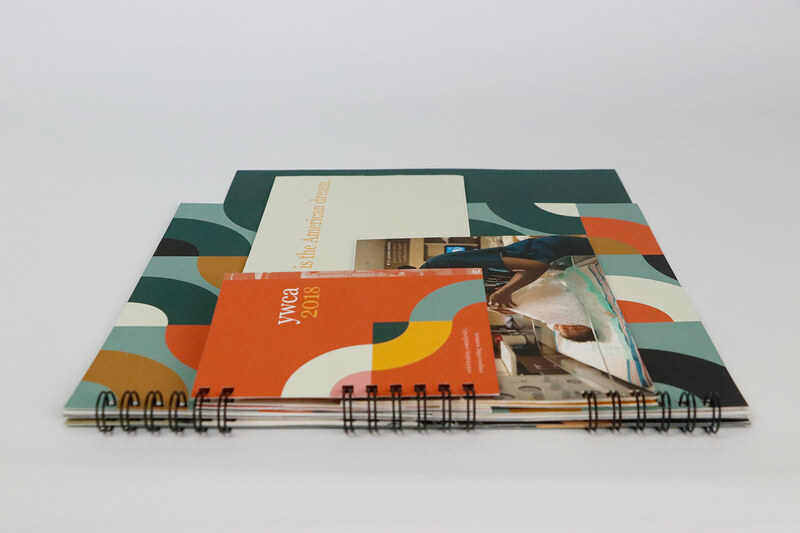 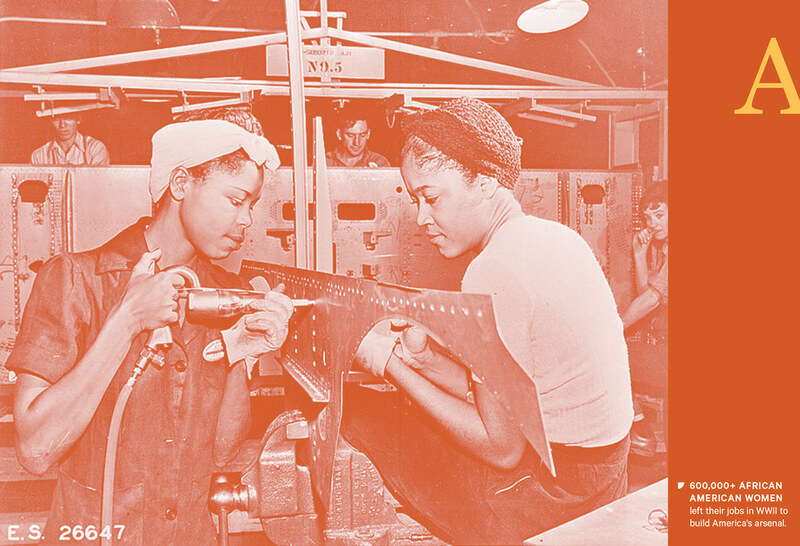 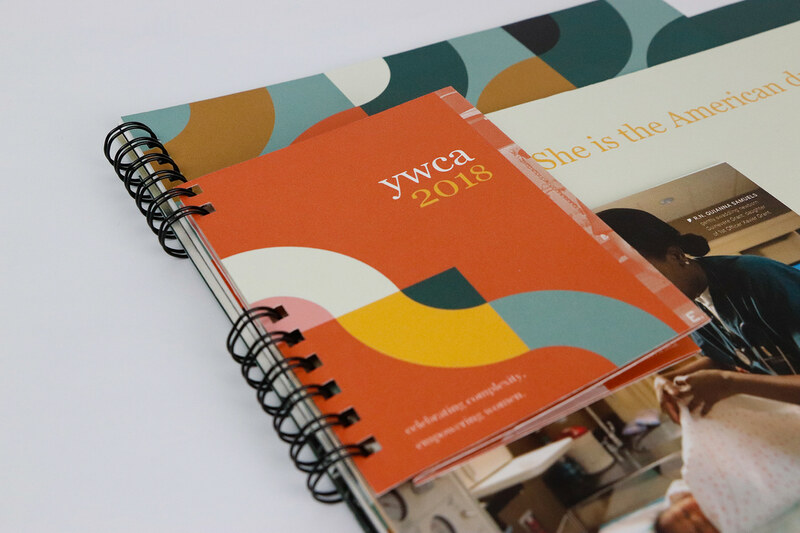 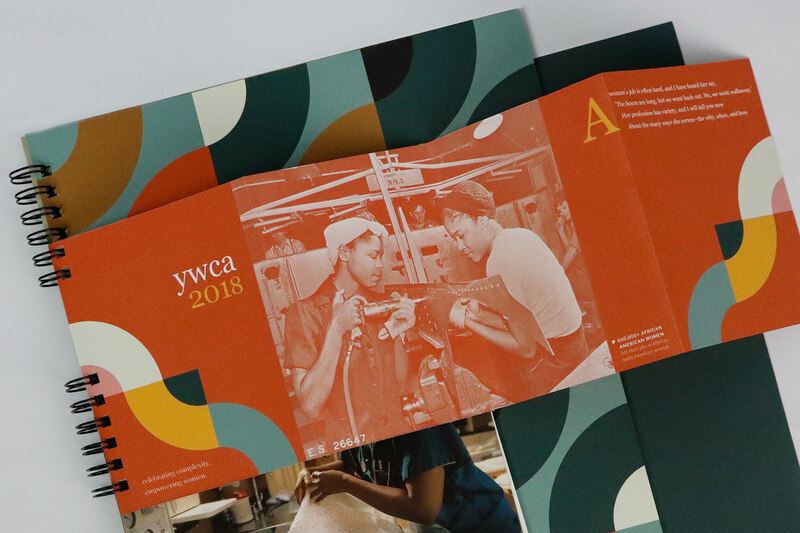 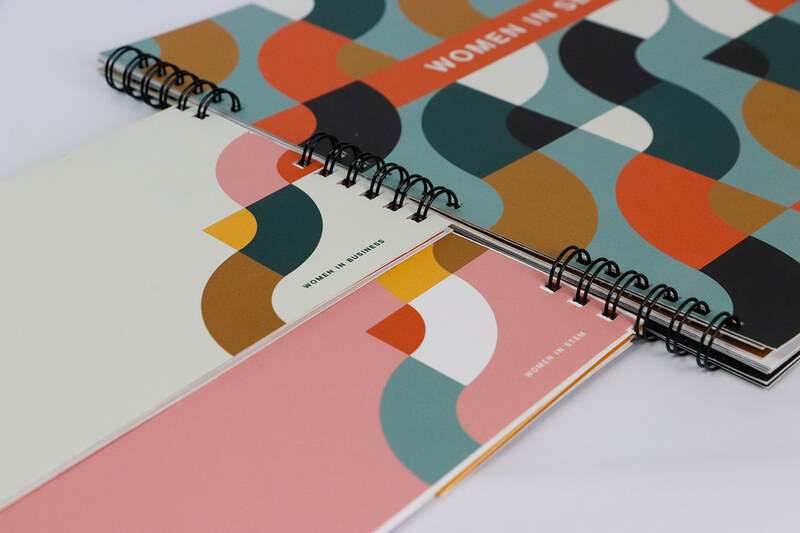 This brochure aims to reflect the intricacies of women—such as through its complex binding/sizing and the structured yet organic use of shapes—and celebrate women by portraying their capabilities in the workforce.